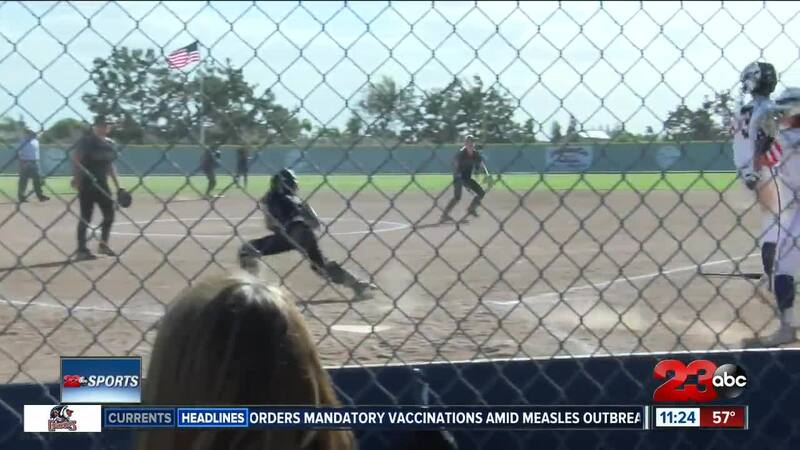 BAKERSFIELD, Calif. — An undefeated Stockdale softball fell to the Liberty Patriots Tuesday evening, 9-8 in the Southwest Yosemite League. The two teams were tied in the third inning, 1-1. But, the Patriots found momentum behind Alyssa Miller's shot down the middle that brought in two runs to take the lead, 3-1. The Patriots continued to extend that lead in the fifth, 6-1. But, Stockdale rallied back in the seventh with five runs, unfortunately it wasn't enough. Liberty now ties Stockdale in the league with a 9-1 record.